Today tractors are the most important piece of equipment on a farm. Farmers spend many hours driving them. Hello! Somebody’s keeping the driving seat warm. 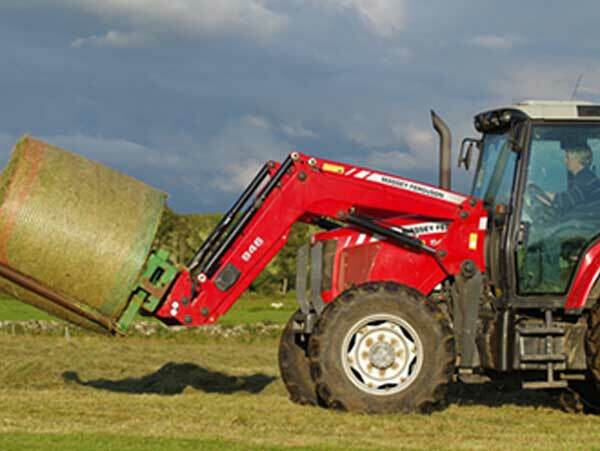 Tractors lift heavy loads like bags of fertiliser or big bales of straw. 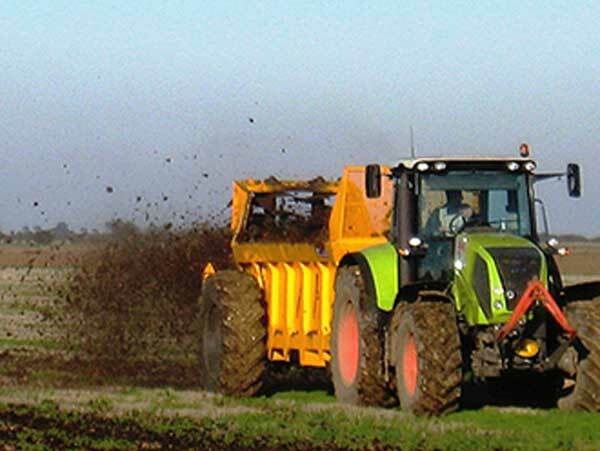 Tractors provide the power to make equipment like mowers and muck spreaders work. 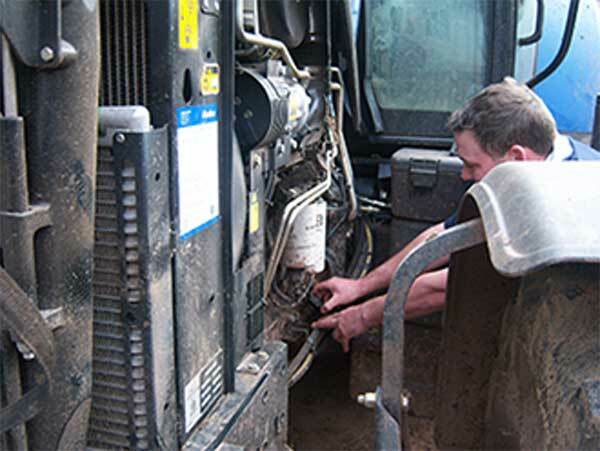 To do all this, a tractor needs to be kept in good working order. A tractor has many more moving parts than a car and these must be greased regularly. Its engine needs diesel and oil to keep it running. Its cooling system needs water and its tyres need to be pumped up with air. 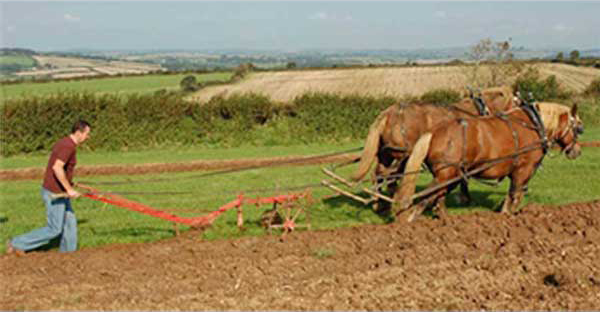 Before there were tractors, farmers used horses or teams of oxen to do heavy work like ploughing. A man with two horses could plough an acre in a day. As he walked behind his horses, ploughing a single furrow at a time, the ploughman might walk as much as 11 miles a day. 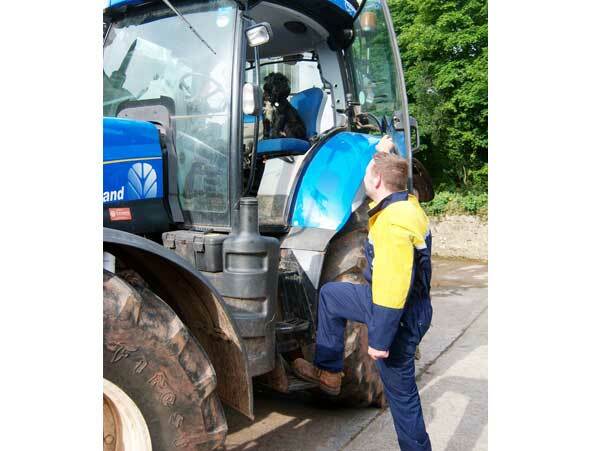 Tractors have been used on farms since the early twentieth century. Today’s tractors are much bigger and more powerful than those early ones. 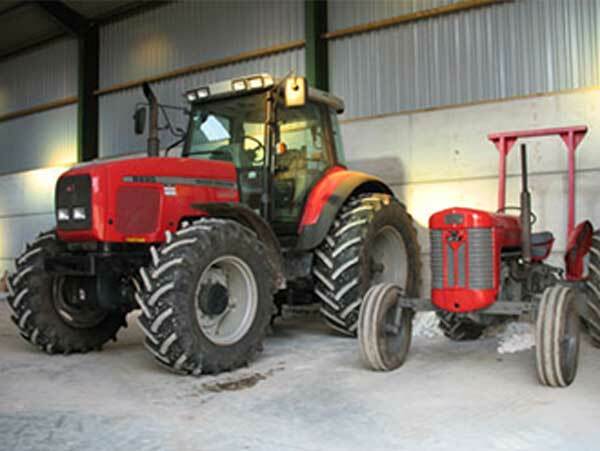 The power of the modern tractor allows farmers to work with bigger pieces of equipment. A modern plough will cut five or six furrows at the same time and one man in a tractor can plough as much as 50 acres in a day. Through the summer months the sheep will be brought into the yard regularly to be checked over to make sure they stay healthy. In the summer flies lay their eggs in the sheep’s fleece. These eggs hatch into maggots which will eat into the flesh of the sheep. To protect them from insect attack some farmers ‘dip’ their sheep. 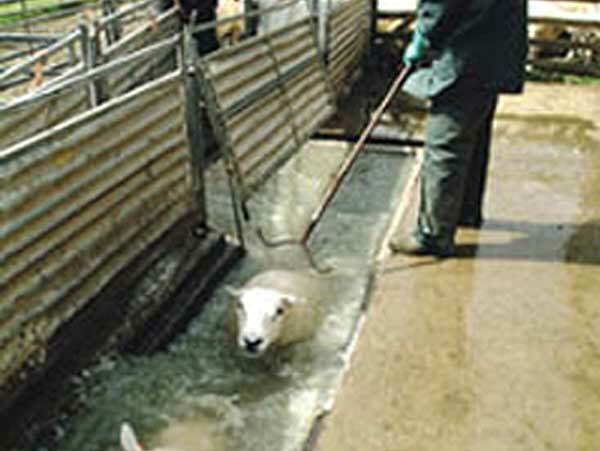 This means putting the sheep through a narrow deep bath containing a dilute chemical which kills any maggots and acts as an insect repellent. Other farmers prefer to spray their sheep with a repellent. The flock also has to be wormed regularly: this means treating the sheep to kill any internal parasites or stomach worms that they may have picked up off the pasture. If left untreated, these will cause the sheep to lose weight and fall ill. While the sheep are gathered in the yard, the farmer takes the opportunity to check their feet. 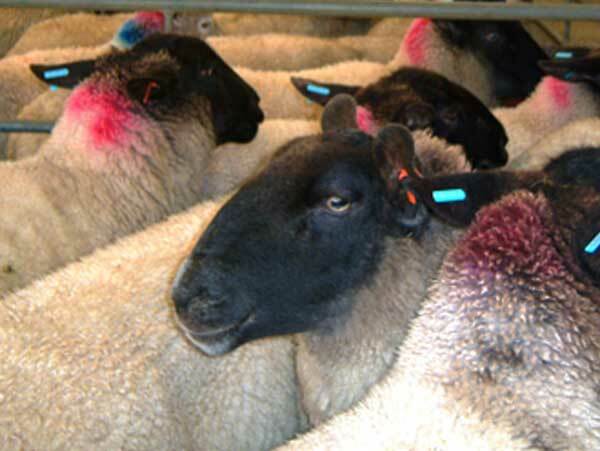 Sheep are prone to lameness from overgrown hooves or a disease called foot rot. 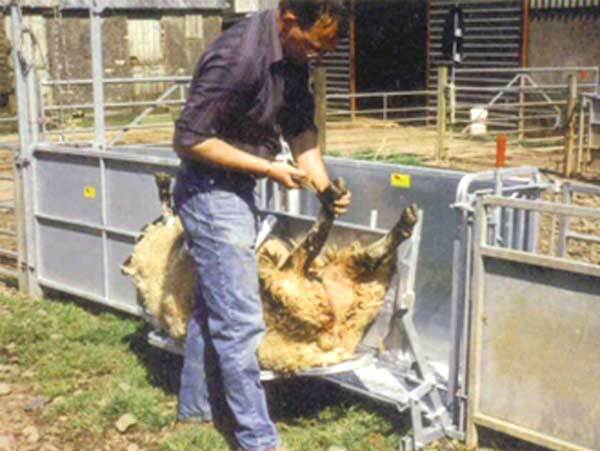 To examine its feet, the sheep can be secured in a cradle that turns over so the farmer can see any problems close up. It is important to check on the teeth of the sheep as well, particularly of the older ewes. As sheep get older some of their teeth may get worn or fall out making it difficult for them to eat. Herbivores like sheep, goats and cattle have a hard pad at the front of their upper jaw instead of teeth. This dental pad and the incisor teeth at the front of their lower jaw allow the animal to tear off large quantities of grass as they graze. On livestock farms from early May right through the summer farmers are busy making silage and hay. This means producing more grass than the livestock can eat at this time, while growing conditions are good, and saving the excess to feed the cattle and sheep through the winter ahead. 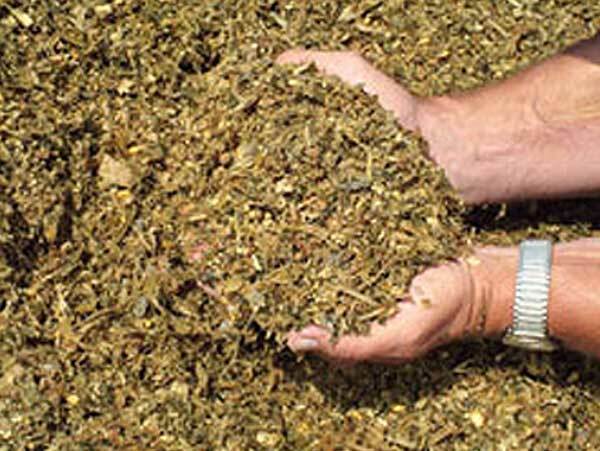 Spring and early summer grass is particularly nutritious and farmers hope to preserve some of that feed value by making silage as soon as the grass is long enough. Silage is fermented or pickled grass. 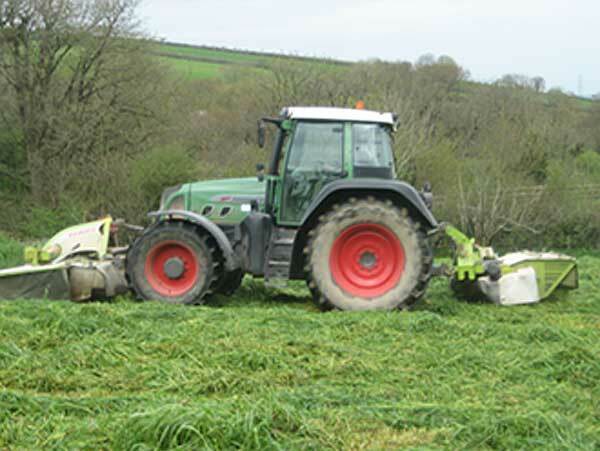 To ensure good quality forage for the winter, the cut grass must be brought in and sealed in the silage clamp quickly. 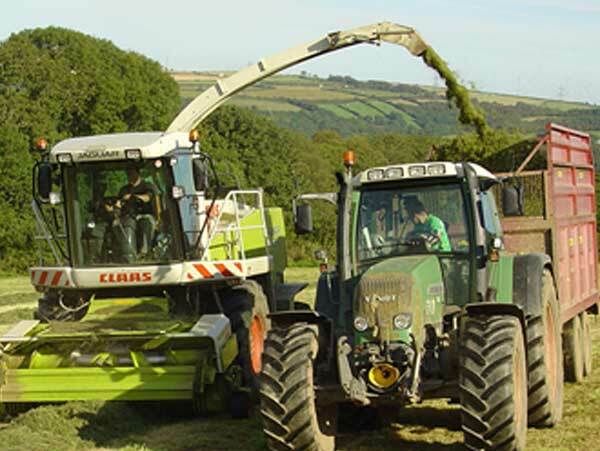 The cut grass is collected in the field and carried to the yard in big high-sided trailers. Several tractors and trailers will be working at once, bringing in the crop as fast as they can. Each trailer load of grass is tipped out in front of the concrete pit. Another tractor with a fork on the front pushes the grass up into a heap. 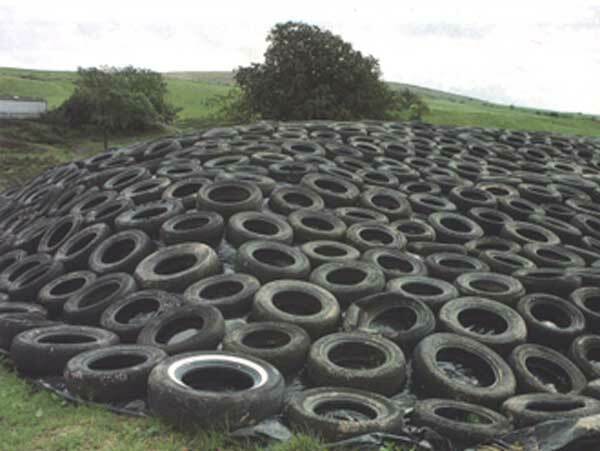 The grass is rolled and compressed and then covered with plastic sheeting which is weighted down with old tyres. In this way all the air is forced out and the heap of grass begins to heat up and ferment. 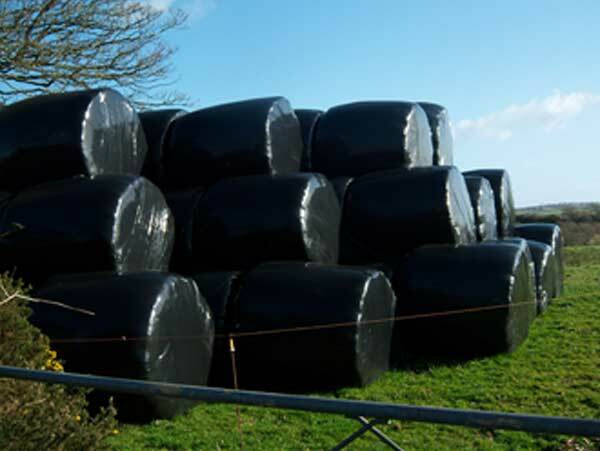 Silage can also be made by rolling the grass into big round bales that are tightly wrapped in black plastic. These can then be stacked in the field or near the yard. When the silage is ready to be fed to the livestock it looks like this.